Do you love the idea of taking amazing landscape photos, but can't find those jaw-dropping locations? Perhaps you've played around with photographing landscapes but they just fall flat of the image you've conjured up in your mind? 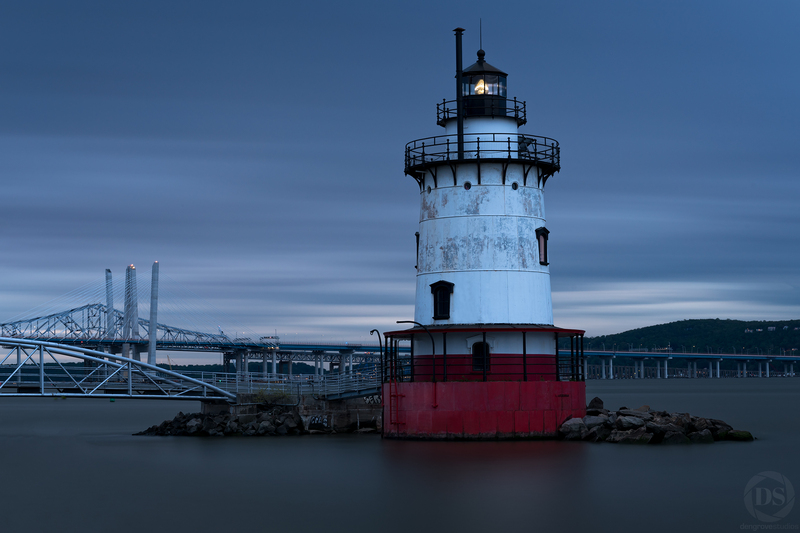 During this special workshop, you will learn not only to take gorgeous landscape photographs but also some history about the park and the amazing Tarrytown Lighthouse, constructed in 1883. Kingsland Point Park offers gorgeous views of the Hudson River, Tappan Zee Bridge, Hook Mountain State Park, and features the only dental themed playground in the United States! Topics include exposure controls, white balance, depth of field settings for landscapes, composition and perspective techniques, metering for sunsets, and blue hour photography. This workshop is open to all levels of photographer with any type of camera, though a DSLR or mirrorless camera with manual settings is preferred; no smart phones or tablets please. A tripod and wide angle lens would be useful if you have them. Please bring your fully charged camera, and a notebook with you. This workshop takes place exclusively at Kingsland Point Park in Tarrytown. Participants are responsible for their own transportation to and from and you will meet your instructor there. A $10 parking fee is charged at the entrance to the park. The workshop will begin with an introduction and then we'll dive right in to the material. For approximately the first 2 hours of the workshop, photography skills and techniques will be taught with a mix of lecture, demonstrations, and plenty of hands-on exercises throughout the park. For the remaining time you will be given free time to create your own photographs using the techniques you have learned. During this time, your instructor will be roaming around providing individual attention to each participant to help make your photographs the best they can be. As this workshop is 4 hours in length and is being given in a public park, you should be prepared to do quite a bit of walking. The park is 18 acres in size and we will be exploring it fully, comfortable shoes are a must! Although we will be sticking to designated paths and grassy areas, as expected in any nature setting, you may encounter rough terrain, insects, dangerous plants such as poison ivy, animals, and might even get a little dirty, so please plan accordingly. Registration cancellations and refund requests must be submitted in writing no less than 7 days prior to the start of the workshop. Refunds will not be given for no shows or latecomers. In the case of inclement weather, there is an alternative workshop rain date available. If you cannot attend the alternative workshop date a credit will be given for use towards a future Dengrove Studios workshop.